Drowned landscape, the reservoir brimming. Buttery coconut through the dripping rain, gorse in its second flowering of the year. Hawthorn trees at the turn of the year. We parked up near the leat above Burrator. 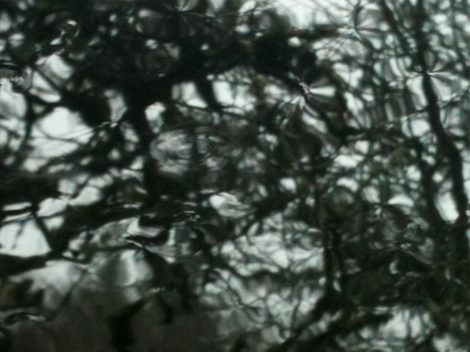 I took this photo through the wet windscreen.